It does not matter if you live in a tiny-house, what matters is your willingness to embrace crafty ideas to place all things rightly. 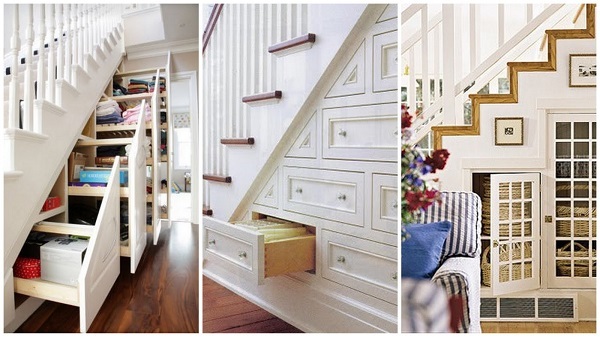 Storage problems can plague homes irrespective of their sizes if you don’t organize and use space judiciously. Below are some creative storage ideas which can be easily implemented to make even the smallest home a perfect space to live. 1. Have your house incorporated with counters which can shrink in and out. Also known as slide-out butcher blocks, they provide the extra infrastructure necessary to make your kitchen spacious thus enabling you to cook a family dinner easily in spite of less space. 2. Store stuffs beneath a bench. A bin which transforms into a cute seating arrangement signifies intelligent use of storage. And there is more it; using the bench seat as a lid is another practical solution. 3. Try a trap door. The space beneath floorboards usually goes untapped. However, what don’t pay heed towards is the fact that the space is sufficient enough to be turned to a storage cabinet. Also it creates enough space to store items you do not use often. 5. Forgot the toe kick? The dead space under your lower cabinets might be just the place for those sheet pans or skillets you often wrestle to store. TELL US: What is your witty storage trick?